Find out everything about the IMDEX token sale. The IMDEX token is on sale from July 10 to July 31, 2018. Today is the fifth day and the sales are now at $ 150000. IMDEX is currently 80 % finished developing and will test it in August. Those who participate in the test will receive a small IMDX token. 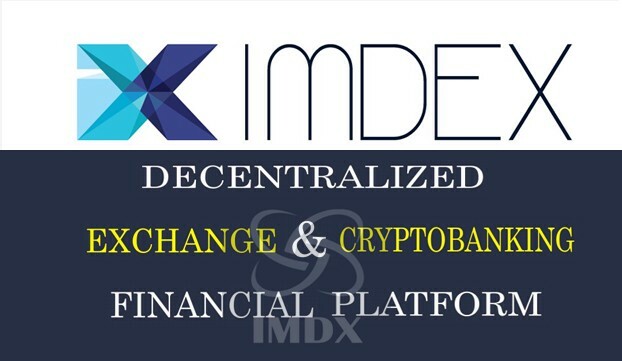 IMDEX, the first decentralized exchange to return revenue, is fully prepared. 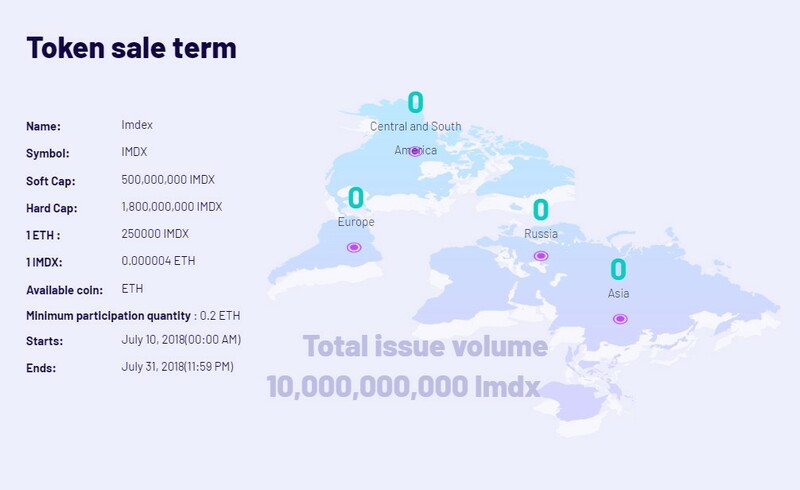 The IMDEX token has issued a total of 10 B copies, no private sale or free sale. It sells only 1.8 B Crowd Sale. There are 500 million Softcap, and when Softcab is achieved, the goal is reached. 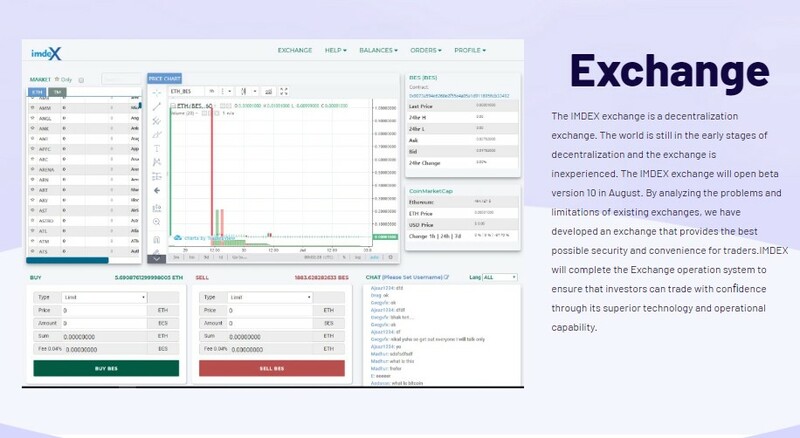 It is the first decentralized exchange to return 80 percent of the IMDEX exchange revenue to users, and a hybrid exchange that packages transactions between individuals through Main-net. Thus, the deal only takes a few seconds. Also, exchange fees are at rock bottom. 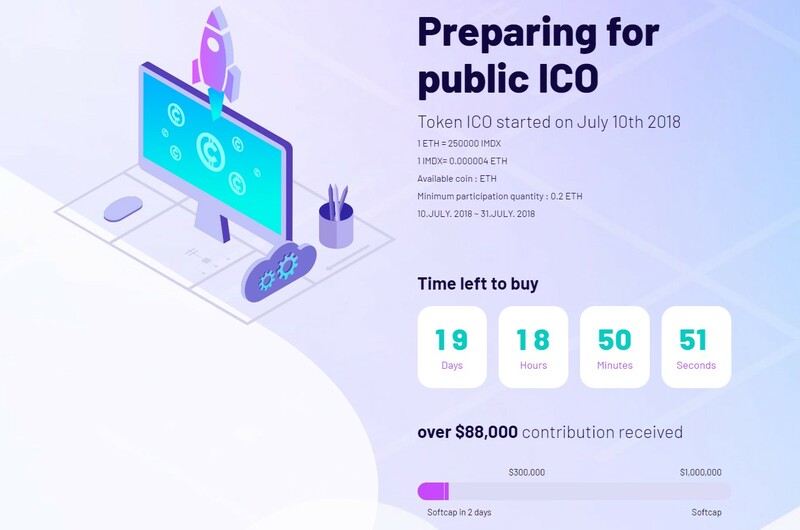 In addition, the IMDEX token provides investors with an additional 5 % token per month, a total of 12 tokens per year. It does not issue more tokens, but is included in a total of 10 billion. This means that unlike other tokens, they do not increase their issuance further. More importantly, it burns up all the IMDX tokens used in the exchange listing vote. As a result, the volume of circulation will gradually decrease. Like this, the IMDEX token is token for investors and exchange users. The IMDEX token will protect and multiply their assets. The token will also serve as an AI that predicts the price of coins in the future, as a block chain that validates transactions at the exchange, measures volume, and analyzes charts. Join us for all these sales of this perfect IMDEX token. This will make you richer.